Brunswick County couple Roosevelt and Ruth Marlow were pillars in the Little Prong Community, and a place of refuge for many. Before her death in 1991, Ruth shared with her granddaughter Bettie, a longheld vision of a recreation center and park for children who did not have transportation to local parks. Inspired by her grandmother Ruth's vision, Bettie, a devoted mother, wife, advocate for children, and families, and a visionary launched the Roosevelt and Ruth Marlow Educational and Recreational Foundation in 1991. 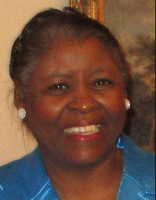 She devoted her life to helping others. A community park was later developed on a four acre tract of land donated by Ruth and their children who had farmed the land for many years. The Foundation was formely established in 1997. We are embarking on an exciting new phase of our 25 year history and invite you to join us! Roosevelt and Ruth Marlow (pictured here) along with daugher Essie Bowens donated a four-acre tract of land to build a community center and park. Bettie Marlow Godwin, granddaughter later established the Roosevelt and Ruth Marlow Educational and Recreational Foundation and became its president. Ruth Marshburn Marlow (March 9, 1909 - May 30, 1991) was a remarkable and humbled woman who made a great impact on the Little Prong Community and to everyone who knew her. 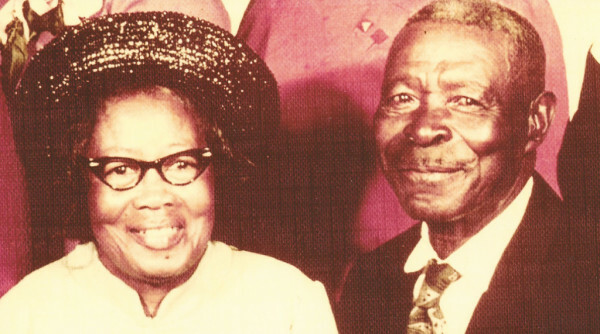 "Mrs. Ruth" as she was called, and her husband farmed their own land to provide for their four daughters, Cleo, Rudell, Essie, Delphia, adopted son Clinton; and four grandchildren they raised Bettie, Ercell Della and Leroy. Ruth was a woman of bright mind, faith and sound judgement. She was born in Brunswick County to David and Mary Marshburn. In 1991, terminally ill Ruth sat gazing from a window in her home onto a nearby field camouflaged in soybean crops. Her granddaughter Bettie turned to Ruth and asked "What are you staring at Ma". Ruth turned to Bettie and began to share her vision of creating a community park for children in the small, rural farm community who oftentimes found difficulty getting to the local parks. A few months later, Ruth passed, but her dream and legacy lives on. 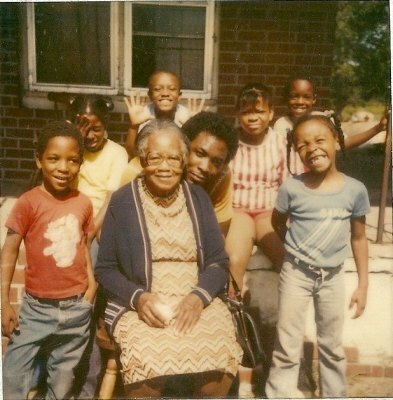 In an effort to provide a recreational outlet for children in the community, Bettie Marlow Godwin, founded the Roosevelt and Ruth Marlow Educational and Recreational Foundation in 1991, on a tract of nearly four acres of land generously donated by her maternal grandparents Roosevelt and Ruth Marlow. The organization was formalized in 1997. Situated on the park site dedicated in their memory, The Roosevelt and Ruth Marlow Memorial Park is under development with a play area for children and picnic shelter. Throughout her life, Bettie was a devoted mother, wife, advocate for children, a public servant and visionary. She, like her grandmother saw this as an opportunity for advancement and to provide recreation for children in the rural community. and enrich communities through services rendered.